The Prologue Society - Lunch with Andrew S. Curran, "Diderot and the Art of Thinking Freely"
Lunch with Andrew S. Curran, "Diderot and the Art of Thinking Freely"
This is intended for our educational outreach program with the local middle and high school students and educators. Please contact us for approval and the discount code. 1) Prologue members receive books as part of their membership benefits. As inventory allows, members’ guests may receive a book, and additional books may be available for purchase. 2) No refunds or credits will be issued without a minimum of three full business days' notice prior to the event date. 3) Pre-registration is required; once online registration has closed, you must contact us to inquire about attending. A spirited biography of the prophetic and sympathetic philosopher who helped build the foundations of the modern world. Denis Diderot is often associated with the decades-long battle to bring the world’s first comprehensive Encyclopédie into existence. But his most daring writing took place in the shadows. Thrown into prison for his atheism in 1749, Diderot decided to reserve his best books for posterity—for us, in fact. In the astonishing cache of unpublished writings left behind after his death, Diderot challenged virtually all of his century’s accepted truths, from the sanctity of monarchy, to the racial justification of the slave trade, to the norms of human sexuality. One of Diderot’s most attentive readers during his lifetime was Catherine the Great, who not only supported him financially, but invited him to St. Petersburg to talk about the possibility of democratizing the Russian empire. 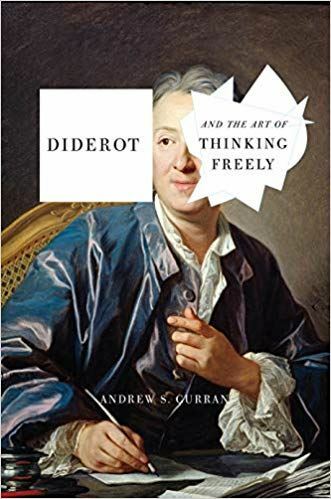 In this thematically organized biography, Andrew S. Curran vividly describes Diderot’s tormented relationship with Rousseau, his curious correspondence with Voltaire, his passionate affairs, and his often iconoclastic stands on art, theater, morality, politics, and religion. But what this book brings out most brilliantly is how the writer’s personal turmoil was an essential part of his genius and his ability to flout taboos, dogma, and convention. 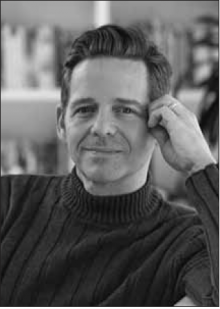 Andrew S. Curran is the William Armstrong Professor of the Humanities at Wesleyan University. The author of two previous books, Sublime Disorder: Physical Monstrosity in Diderot’s Universe and The Anatomy of Blackness: Science and Slavery in an Age of Enlightenment, Curran is a Fellow in the history of medicine at the New York Academy of Medicine and a Chevalier dans l’Ordre des Palmes Académiques. DEADLINE FOR REGISTRATION: Monday, April 22, 2019.